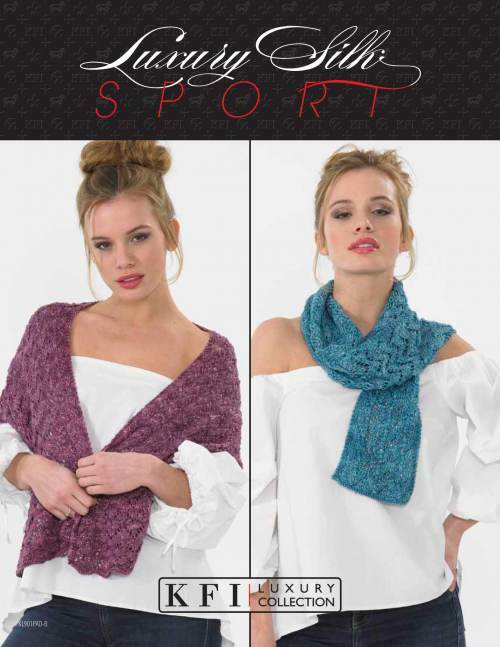 Check out some of the garments & designs found in Luxury Silk Sport - Adorable Lace Wrap & Plain Scarf. Measurements Lace Wrap (approximately): 13 3⁄4 x 42 1⁄2in/35 x 108cm. Scarf (approximately): 6 1⁄2 x 60 1⁄4in/17 x 153cm.